The Norrona Falketind Gore-Tex Pants Womens are their most versatile all-season waterproof and breathable pants for women. 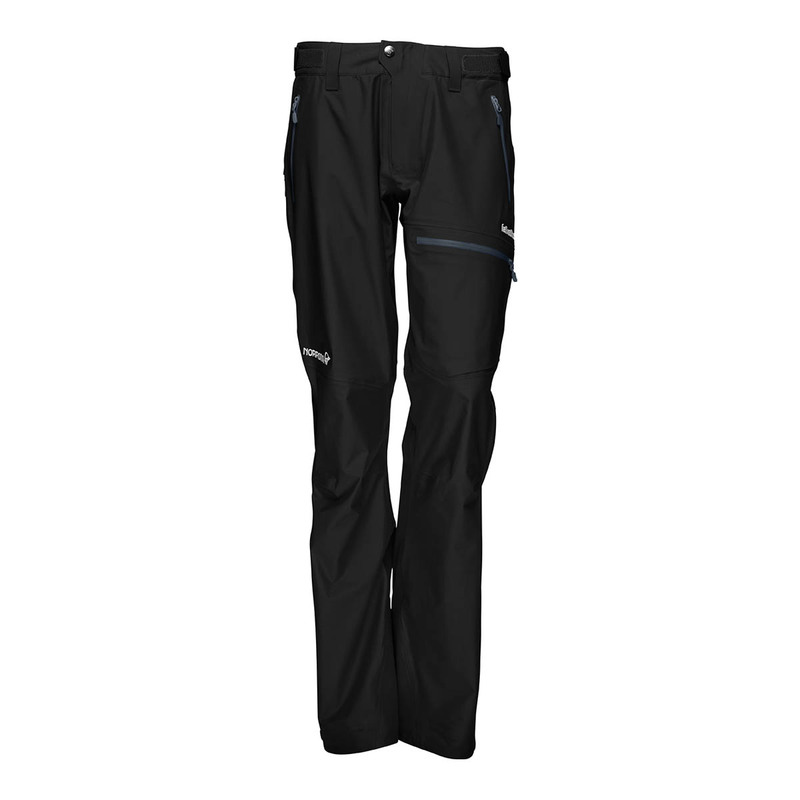 Made of a specially developed GORE-TEX® 3-Layer fabric with a comfortable, slightly brushed backer, the Norrona Falketind Gore-Tex Pants Women are light enough for summer use and durable enough for winter use. Developed for all kinds of mountaineering activities, with legs that are wide enough to fit randonee boots and tight enough to use with crampons, these pants feature the Custom-fit waist system™ to decrease bulk, ¾ side zips for efficient heat dumping, an inside gaiter hook for better protection against snow entering the pant, and reinforced ankle points to protect against sharp crampon points. Pants that will perform in both summer and winter conditions, the Norrona Falketind Gore-Tex Pants Women are adaptable and multifaceted for the all-purpose mountaineer and climber, with 40-Denier fabric for increased durability. • Inside leg length in size M = 84 cm. Length differs 2 cm per size up and down. A durable GORE-TEX® fabric suitable for a wide range of activities. In the 3-layer construction, the membrane is laminated to the lining on one side and to the outer fabric on the other, providing enhanced durability. Lighter than a 2-layer GORE-TEX® fabric, since it requires no additional free-hanging liner.